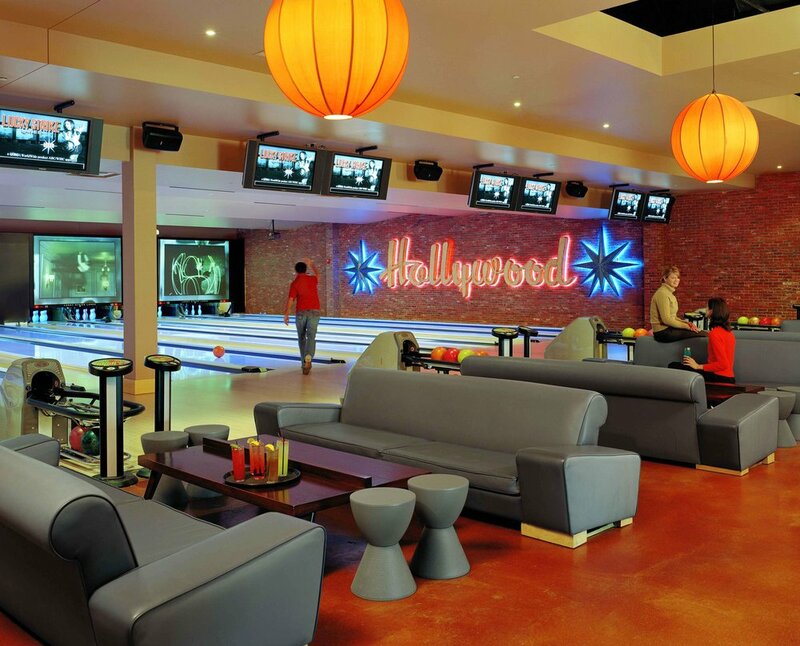 Bond Architects assisted in the design and construction of the upscale dining and bowling lounge franchise for its St. Louis location. The local team coordinated the work of franchise consultants and vendors and worked closely with S.F. Jones of California (the prototype designer) to maintain brand identity while meeting the mall’s design specifications. 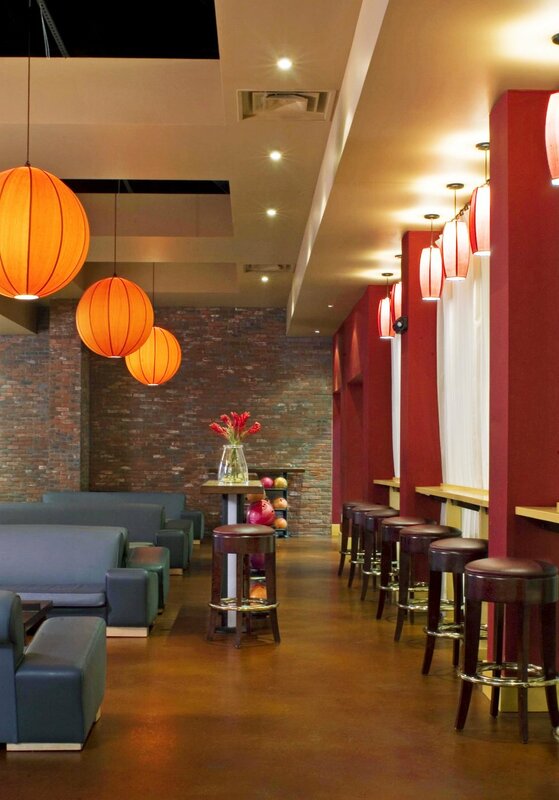 The space included 20 bowling lanes, pool tables, a bar and restaurant, dance floor space and private party rooms.